Timber Harvesting’s July/August issue marks the 50th anniversary of Timber Harvesting, launched in 1953 as Pulpwood Production, and its contents are largely commemorative of this milestone. The special issue offers 24 pages about the history of the magazine and the logging industry and includes related graphic artifacts of the last half century. Certain equipment companies give their historical highlights as well. Also featured in this issue are a recap of the All American Loggin’ Demo and Oregon’s Pete Bailey, who values pre-job planning and rigging as the key to success. It was the middle of summer 1991 when I found myself driving through Georgia, en route to Brunswick for a meeting of loggers set up by Georgia-Pacific’s Eastern Wood Products Div. At the time, I wasn’t real happy. I had been in the area earlier in the year and had interviewed several loggers, including Jesup-based Fred Fender, who had come highly ­recommended. 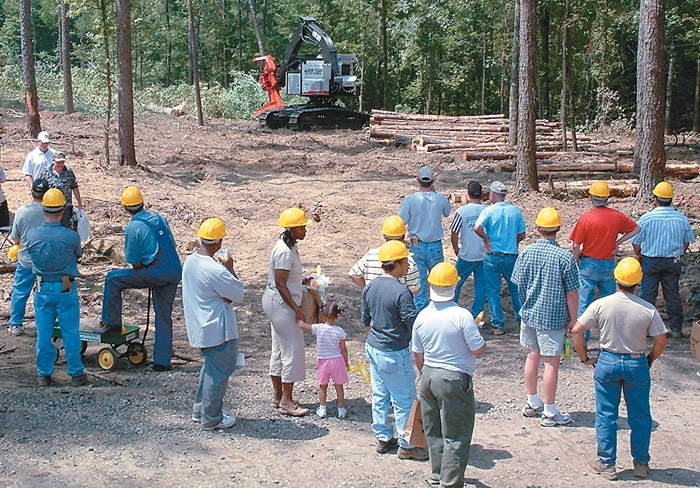 Throngs of forest industry followers converged just south of here May 30-31 for the inaugural All American Loggin’ Demo (AALD), where a rolling timber tract was transformed into a showcase for logging equipment technology, accessories and services. Most loggers and exhibitors came away pleased. “Every logger I talked with was impressed with the show. 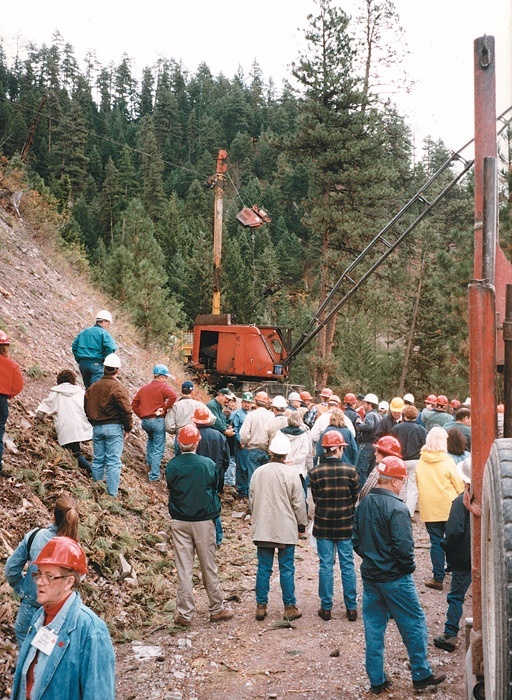 Several said it was the best live show they had attended,” said DK Knight, partner in show sponsor Hatton-Brown Publishers, Inc.
A full career of interesting and varied logging experience has served contractor Pete Bailey well as he guides Skyline Thinning, a successful logging operation specializing in swing yarder and excavator-based cable thinning. Bailey’s experiences range from eight years in an Alaska logging camp to setting a yarder up under a ski lift in downtown Vail, Colo. and logging bug-killed timber under the watchful eyes of hundreds of onlookers. In case you didn’t know, there’s another Fargo in the U.S. 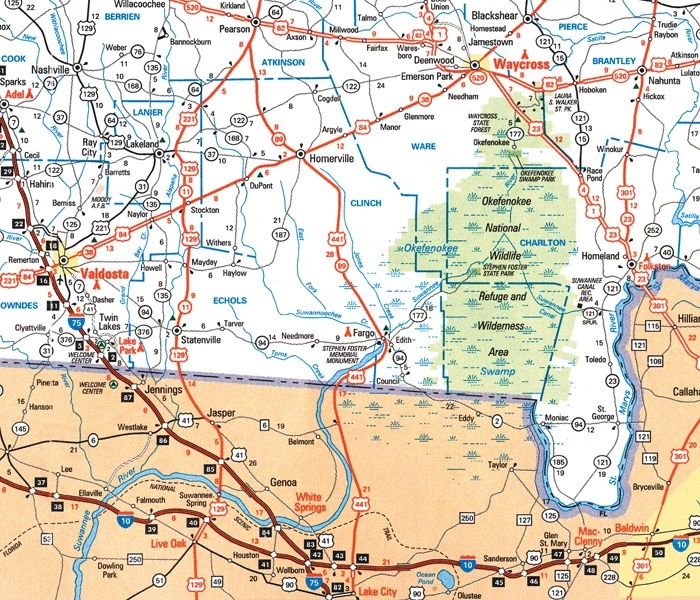 Located more than 1,000 miles southeast of the North Dakota city made famous by a 1990s movie, Fargo, Ga. is found at the intersection of U.S. highway 441 and Georgia route 94, about 10 miles north of the Florida state line. It’s a relatively isolated community that has remained beyond the reach of strip malls and housing subdivisions. 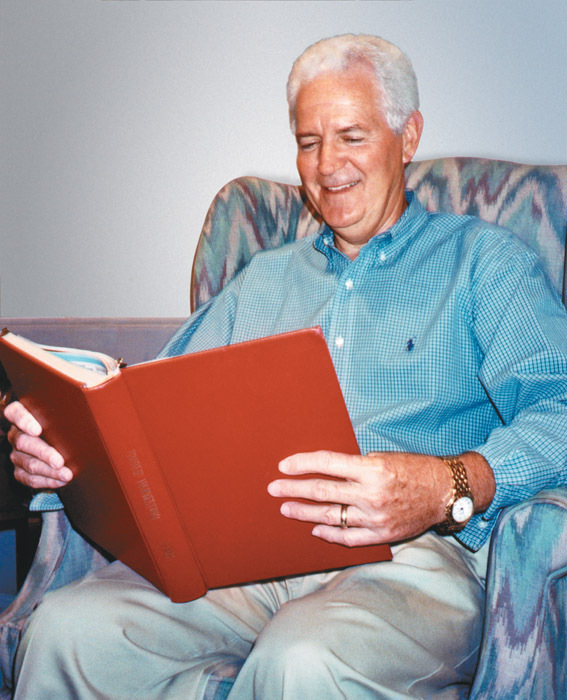 Grinning with pride, DK pages through a bound volume of past Timber Harvesting issues and answers questions about the magazine’s history, his career and the evolution of TH’s parent company, Hatton-Brown Publishers, Inc. of Montgomery, Ala. It’s obvious he’s more comfortable being on the other side of an interview, asking the questions, not answering them. After all, he’s done it for more than 38 years. Are you planning to make any new equipment ­purchases this year? Why or why not? We’ve bought quite a bit of equipment this year. Of course, it’s a struggle in any year, but you have to stay ahead and keep your equipment current or you might as well just fold up your tent. We run Timbco feller-bunchers, and we just bought a two-year-old machine. Would you like the chance to meet and network with loggers from across the country? 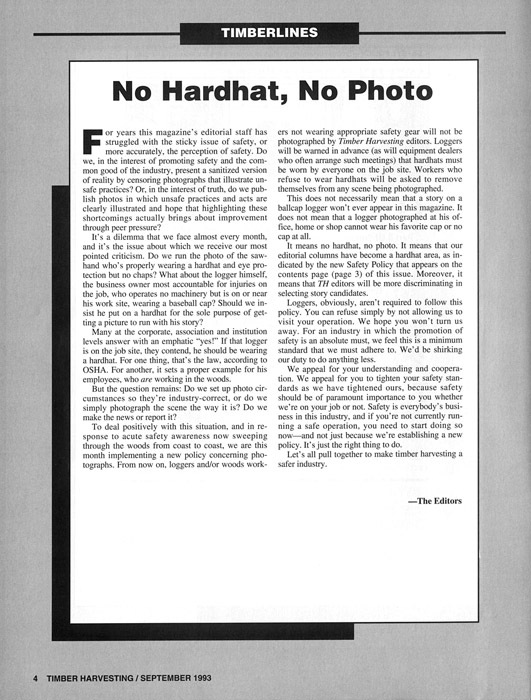 How about meeting equipment managers from major manufacturers? Would you like to not only learn more about the issues facing our industry, but help guide them? 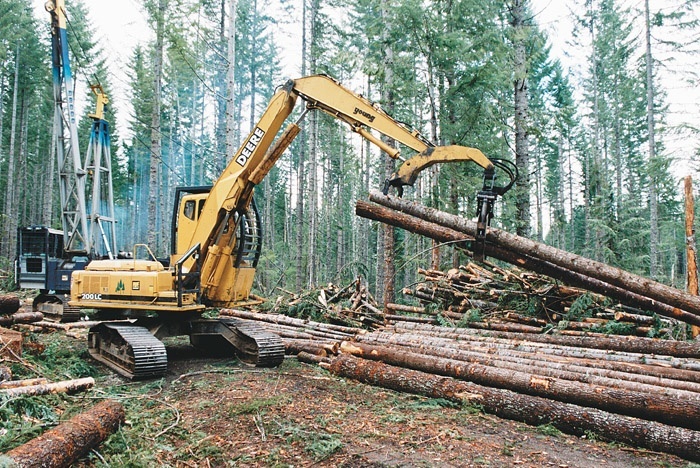 How about visiting the beautiful state of Oregon taking in some different types of logging and spectacular scenery? 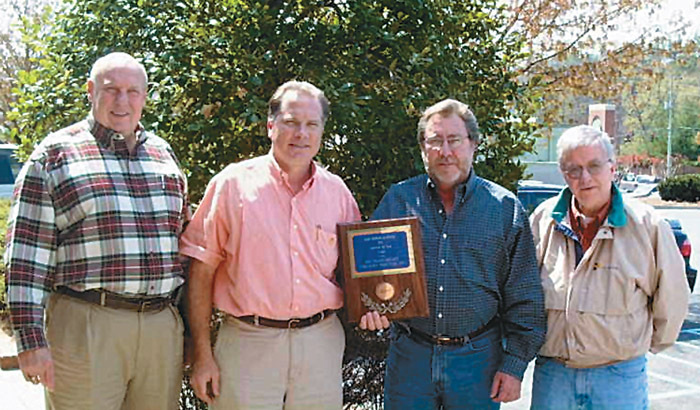 Inland Paperboard & Packaging (IPPI), Rome, Ga., earlier this year presented Southern Select Forestry Services of Newnan, Ga. with its 2002 Logger of the Year Award. Southern Select maintains high quality standards while producing 180,000 tons of whole tree chips per year.